Partners invite you to be part of our ongoing enjoyment and improvement of Tennessee’s very own national forest. The Partners of Cherokee National Forest, a 501 (c) 3 non-profit, and a member of the Public Land Alliance, supports a variety of activities and events throughout the only national forest in Tennessee, the Cherokee National Forest (CNF). And with shrinking federal budgets, there is more work to do within the Cherokee National Forest! We are looking for more Partners. Will you walk with us as we answer the call? We are Partners with You! The mission of the Partners is to provide the public with current information about issues and resources related to the Cherokee National Forest. We are also directly involved in work projects in various locations within the Forest. 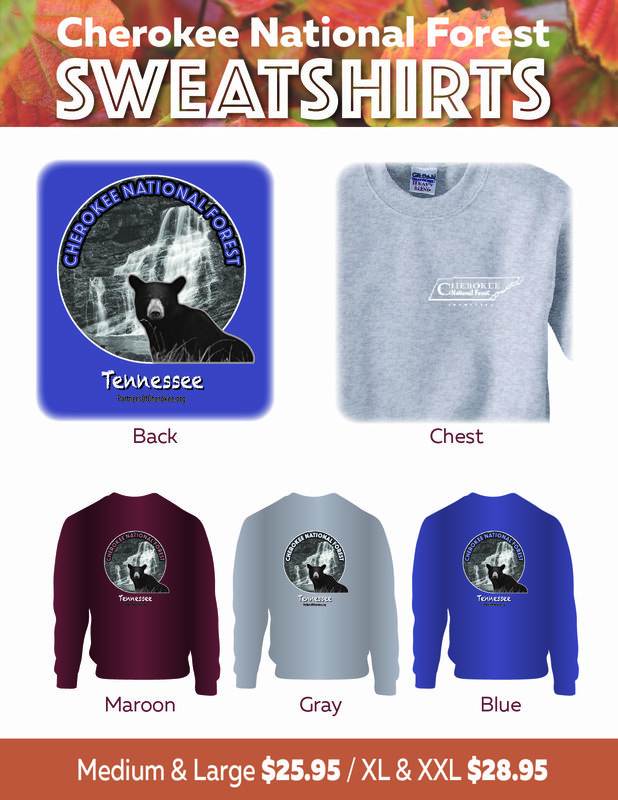 The non-profit Partners of Cherokee National Forest work year-round to promote appreciation, enjoyment, and use of one of America’s greatest national treasures. Each year over two million people visit the Cherokee Forest. You can support the Forest and its activities by becoming a Member and/or a Volunteer.